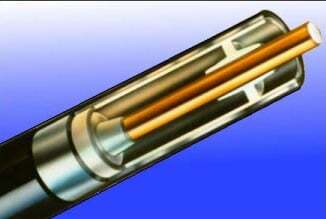 AirCell Transline coaxial cables are the waterproof air dielectric answer for your wireless base station applications. This unique, non-pressurized air dielectric design provides unparalleled protection against water migration. The durable mechanical properties of AirCell Transline cables ensure superior performance, ease of installation, and a long service life. Proven performance in Cellular, Paging, PCS, SMR, and satellite applications. Sizes 1/2", 5/8", 7/8", 1-1/4", 1-5/8"